Window tinting is normally done with the aim of reflecting the infrared rays from inside and outside the buildings. The peculiarity of infrared ray is that it gets reflected by the people as well as objects. As for example, the warmth inside even during the cold winter day is due to such an occurrence. The houses provided with duel glass panes will have to take great caution while fixing glass taints, which should be done by a competent professional, who knows different aspects of the work. To begin with fixing window film, get a qualified installer who can know whether there is an existing coating on the glass pane that would cause a reaction with the window tint and heat up the glass. If so, it would result in breaking the window, which is one of the reasons why many manufacturers decline to honor the warranty of a glass with tinting. But, generally window film manufacturers honor the warranty of their products against window breaking, caused by the film and also the damages to the seal. The warranty will remain throughout the period, if one utilizes the services of a professional to select the required film. The window films now for sale is far superior in quality, durability and safety than what was in market, some 10 to 15 years back. Of course, some apprehensions remain about the subsequent scratching, which is no more a problem now. As a better safeguard against scratching, it is ideal to use the acrylic now available. But one has to be careful on dangers of ammonia, which would react and damage the acrylic. Imagine the pleasant cool atmosphere of a room one enters in during a hot summer when temperature remains high outside with a burning sun. The best remedy lies in use of tints for the windows. This simple provision will help bring down the temperature to a great extent. The window tinting also helps an air conditioner to maintain the cool atmosphere even in very hot weather, by reflecting or absorbing the heat. Another great advantage of window tinting is that it protects the home furnishings from getting easily faded and thus helps avoid frequent replacements. The rays from the sun generally cause damage to many items in a habitat, such as furniture, floor, carpet and drapes, which will end up in ruining the interior furnishings. Think of a partially faded carpet inside a room, which one will have hide by covering with something else, which otherwise will look much awkward. To avoid such embarrassments, the best option is to cover the windows with tints so as to keep the furnishings safe for a longer period. To avoid replacement and frequent repairs to various interiors of a house, due to damages caused by the sun, tinting is the best option which keeps a room cooler or warmer according to the changes in seasons. 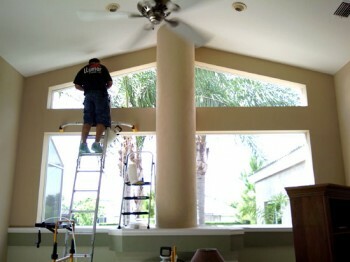 The main highlight here is that the window films play a great role in the present day life, by helping one save energy, reducing the wear and tear caused by sun to the cooling systems, by preventing heat from entering into an atmosphere of home or business and ultimately by saving much of the money of its consumer. For more ideas on how to keep your home cool during summer thus saving money on energy needed to run the air conditioner, visit the Power4Home guide created by John Russel. Read up on the Power4Home review on this blog for more information.